Regarding AUCTION #147 (Closing Date: Wednesday, 18 May, 2016), The Minimum Bid ("MB") is a guide which has been set in accordance with current market value, determined through constant monitoring of auction sales during recent years. In cases of extreme rarity, the actual realized price may far exceed the Minimum Bid, while in other cases an item may realize a price very close to the Minimum Bid, and, occasionally, the Minimum Bid itself. Please simply bid in accordance with whatever a given item means to you. If a bidder wins more than originally anticipated, we are most pleased to make any mutually comfortable arrangement for payment terms. Please inquire. P0101. E. ROBERT SCHMITZ: PRÉLUDES – Book I (Debussy), 14s. 7-10” V 10-1192/98, POM-1935, Orig.Album DM-1031. M-A, as New. MB 25, the Set. P0102. E. ROBERT SCHMITZ: PRÉLUDES – Book II (Debussy), 12s. 6-10” RCA 10-1317/22, POM-1935, Orig.Album DM-1138. M-A, as New. MB 25, the Set. PRÉLUDES – La Cathédrale engloutie (both Debussy). ISIDORE MOSKOWITZ: A flower of Italy – Mazurka brilliante #2 (d’Agostino). 10” H & D paper label Edison 50958 [1505 C-1-2 / 4107 A-2-7], recorded 1922. P0105. E. ROBERT SCHMITZ, w.Roth Quartet: Quintet in f for Piano and Strings (Franck), 10s. 5-12” MasterWorks Col. 69251/55-D, in Orig. Album 334, w.Brochure. M-A, as New; album spine partially is missing. MB 35, the Set. in Orig. Album 348, w.Brochure. M-A, as New. MB 35, the Set. Toccata & Fugue in e - Fugue (Bach). 2-12” Eng. Col. LFX 197/98, POM-1933. M-A, as New. MB 12, the Pair. Coronation Concerto #26 in D, K.537 (Mozart), 8s. 4-12” purple PW Eng. Decca TF.141/44, POM-1930. M-A MB 45, the Set. P0109. MARCELLE MEYER: Ragtime (Stravinsky) / Navarra (Albéniz). P0110. MARCELLE MEYER: Toccata & Fugue in d (Bach), 4s. 2–12” Discophiles français 60/61, POM-7 June,1946. M-A MB 12, the Pair. P0111. MARCELLE MEYER: Toccata in c; Toccata in D (Bach), 6s. 3–12” Discophiles français 76/78, POM-12 Nov.,1946. M-A MB 25, the Set. P0112. MARCELLE MEYER: Fantasia in a (Bach), 2s. P0113. MARCELLE MEYER: Partita #1 in B-flat (Bach), 4s. 2–12” Discophiles français 80/81, POM-13 Nov.,1946. M-A MB 25, the Pair. (both Bach), 8s. 4–12” Discophiles français 96/99, POM-19 May,1947. M-A MB 25, the Set. P0115. MARCELLE MEYER: Partita #3 in a (Bach), 4s. 2–12” Discophiles français 82/83, POM-13 Nov.,1946. M-A MB 25, the Pair. P0116. MARCELLE MEYER: The 30 Inventions (Bach), 12s. 6–12” Discophiles français 116/121, POM-24-25 Jan., 1948. M-A MB 35, the Set. P0117. MARCELLE MEYER: Italian Concerto in F(Bach), 4s. 2–12” Discophiles français 62/63, POM-7 June,1946. M-A MB 12, the Pair. P0118. MARCELLE MEYER: Rameau Program, 8s. 4–12” Discophiles français 64/67, POM-7 June,1946. M-A MB 25, the Set. P0119. MARCELLE MEYER: Scarlatti Program, 8s. 4–12” Discophiles français 68/71, POM-12 Nov.,1946. M-A MB 25, the Set. P0120. MARCELLE MEYER: Couperin Program, 8s. 4–12” Discophiles français 72/75, POM-12 Nov.,1946. M-A MB 25, the Set. P0121. MARCELLE MEYER: 14 Scarlatti Sonatas, 8s. 4–12” Discophiles français 130/133, POM-20 Dec.,1948. M-A MB 25, the Set. P0122. MARCELLE MEYER: Deutsche Tänze, Op.33; Ländler, Op.171 (Schubert), 6s. 3–12” Discophiles français 134/136, POM-12 Nov., 1948. M-A MB 35, the Set. P0123. MARCELLE MEYER: Valses nobles et sentimentales (Ravel), 4s. 2–12” Discophiles français 108/109, POM-24-25 Jan., 1948. M-A MB 35, the Set. 10” Disque Gram. DA 4963 [OLA4082-1/4083-1], POM-24 May, 1943. Disque Gram. DA 4964 [OLA4085-1/4086-1], POM-24 May, 1943. P0127. ALFRED CORTOT: Hungarian Rhapsody #2 (Liszt), 2s. 12” Scroll V 6626 [BVE 36569/70], POM-27/28 Dec., 1926, on z-type shellac. July,< 1935, in Orig. Album DM-493, w.Brochure. M-A, as New. MB 25, the Set. in Orig. Album M 629, w.Brochure. M-A, a pristine copy. MB 25, the Set. "It was always said about Cortot’s tone that it had such an extraordinary quality that one could recognise it from among a hundred pianists, and this is what I mean by the touch being a ‘very personal matter’." DIE SCHÖNE MÜLLERIN – Wohin? (Schubert-Liszt). 12” orange Art Label Pathé X.5454 [N 8736-1/N 8737-1], recorded 1928. PARADE, 3s. / Sd.4 = Deux morceaux en forme de poire (Satie). 2-12” PW Boite à Musique 16/17 [PART1014/17], only form of issue, 15 July, 1937. M-A, exemplary copy; Sd.4 only has wee dust mk. MB 35, the Pair. Trio for Piano, Oboe & Bassoon (Played by the Composer). 12” PW French Col.D 14213/14 [WLX273/276], POM-7 March, 1928. M-A, exemplary copy. MB 25, the Pair. Tableaux de Voyage – Départ matinal (both Played by the Composer). P0136. JOSÉ ECHANIZ: Polonaise #2 in E-flat, Op.26, #2 (Chopin), 2s. Le tombeau de Couperin – Toccata (Ravel). P0139. JESÚS MARÍA SANROMA: MIROIRS – Alborada del gracioso (Ravel), 2s. P0140. JESÚS MARÍA SANROMA: Puerto Rican Danzas (Campos), 8s. 4-10” V 4560/63, POM-1939, inOrig.Album M-849, w.Brochure. M-A MB 20, the Set. P0141. JESÚS MARÍA SANROMA: Piano Music of the 20th Century, incl. Debussy, Prokofiev, Copland, Respighi, Krenek & Schönberg, 8s. in Orig. Album M-646, w.Brochure. M-A MB 25, the Set. (Wagner-Sanromá) / Rustle of spring (Sinding); The butterfly (Grieg). in Orig. Album AM-614, w.Brochure. M-A MB 25, the Set. In handsome hand-made album. M-A MB 35, the Set. on ‘Z’-type shellac, in Orig. Album M-324, w.Brochure. M-A MB 25, the Set. Sd.1 on ‘Z’ shellac, in Orig. Album M-358, w.Brochure. M-A MB 15, the Set. in Orig. Album M-690, w.Brochure. M-A MB 15, the Set. Sonata for Piano Four Hands (Played by the Composer), 4s. in Orig. Album M-637, w. Brochure. M-A MB 25, the Set. Viola Sonata #3 (1939) (Played by the Composer), 7s. in Orig.Album DM 572, w.Brochure. M-A MB 25, the Set. in Orig. Album M-877, w.Brochure. M-A MB 25, the Set. 14 March, 1940, in Orig. Album DM-736, w.Brochure. M-A MB 25, the Set. Sonata #3 in F for Piano Four Hands, K.497 (Mozart), 6s. 3-12” V 13704/06, in Orig. Album M-809, w. Brochure. Orientale / Seguidillas (Albéniz). 10” PW French Col. LF 42, POM-1930. VLADIMIR HOROWITZ: Étude in F, Op.10, #8 (Chopin). only form of issue, 1942. [Castagnone is best-remembered for his association with Arthur Grumiaux.] M-A MB 20, the Pair. in Orig. HMV Album184. M-A, as New. MB 35, the Set. “Casella’s formal studies began in 1896 at the Paris Conservatory, under Fauré, where he won first prize in piano in 1899, and soon was touring Europe and Russia as a pianist. His American début in 1921 with the Philadelphia Orchestra showcased his talents as conductor, composer, and pianist. Le vieux Vienne (Fox-trot tragique) (both Played by the Composer). (Rembereing Cypresses of Usigliano di Sari) (Played by the Composer), 2s. POM-27 October 1948. M-A, as New. MB 15, the Pair. Scherzo #2 in b-flat minor (Chopin), 2s. 12” LVDP 5355 [2EA 3618/19], POM-1940. Sonata in c / Sonata in d – Pastorale (Scarlatti). Variations on a Theme by Paganini (Brahms), 4s. 2-12” HMV DB 6909/10 [2EA 13367/70], POM-26 Oct., 1948. M-A, as New. MB 15, the Pair. DANZAS ESPAÑOLAS - Andaluza (Granados) / Fantasque (Marescotti). Canción y danza #1 (Mompou) / Malagueña (Albéniz). Telefunken SKB 3280/83 [026618/25], POM-2 / 6 Sept., 1942. P0169. BENNO MOISEIVITCH: Kinderszenen, Op.15 (Schumann), 4s. 2-12” Scroll/Orth V 7705/06, on ‘Z’ shellac, POM-14 April, 1930. M-A MB 20, the Pair. P0170. BENNO MOISEIVITCH: Variations & Fugue on a theme by Handel (Brahms), 6s. 3-12” red PW Australian HMV D.1928/30, POM-4 March, 1930. M-A, choice copy of preferred Australian pressing. MB 25, the Trio. POM-1948, in Orig.Album MM-868. M-A, appears unplayed. MB 25, the Set. POM-1931, in Orig. Album M-162, w.Brochure. M-A MB 20, the Set. Concerto #17 in G, K.453 (Mozart), 8s. 4-12” Viva-Tonal Col. 67559/62-D [WAX3790/97], POM-1928, in Orig.Album 111. M-A, appears unplayed. MB 15, the Set. P0174. CHARLOTTE von RECSEY: Hungarian Rhapsody #12 in c-sharp (Liszt),2s. 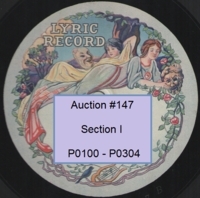 [basically unknown issue, in all likelihood von RECSEY’s only recording]. [CA 16218-1/16855-1], POM-5 Feb., 1937 / 12 Feb., 1938. P0176. BELA BARTOK: Suite Op.14 (Played by the Composer), 2s. 12” plum PW Czech HMV AN 468 [CV723-II/724-II], POM-5 Nov., 1929. P0178. BELA BARTOK: Memorial Album, incl.Bear Dance, Evening in Transylvania & FOR CHILDREN – 15 Pieces (all Played by the Composer), 4s. 2-12” dark-blue Vox 650/51, recorded 1941, in Album 625. M-A MB 25, the Set. POM-May, 1940, in Orig. Album X-178, w.Brochure. M-A, as New. MB 25, the Set. (all Played by the Composer), 2s. 10” lilac Continental C-1193, recorded 1941. P0181. BELA BARTOK supervises Hungarian Folk Songs, 8s. Texts & Photos, issued 1950. M-A, as New. MB 25, the Set. (Chopin). 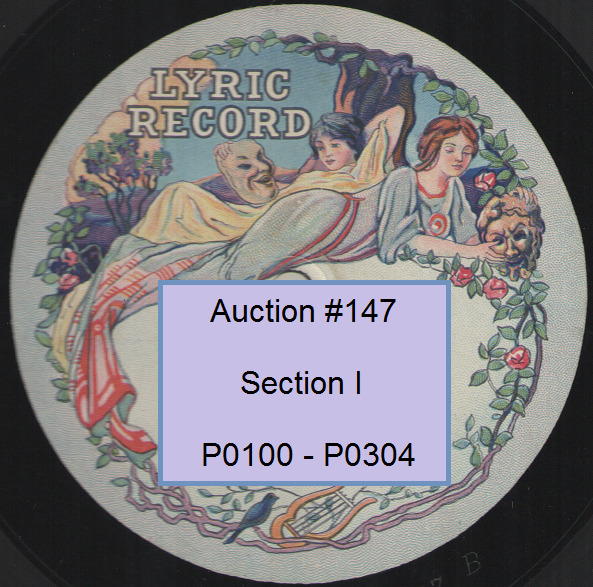 10” dark-blue Ultraphon A 273 [10341/10340], POM-1929. P0183. LUBKA KOLESSA: Capriccio in B / Capriccio in D (both Scarlatti). P0184. LUBKA KOLESSA: Unser dummer Pöbel meint (Mozart, after Gluck), 2s. P0186. SERGEI RACHMANINOFF: Carnaval (Schumann), 6s. in Orig Album M-70, w.Brochure. M-A, a gleaming copy. MB 95, the Set. Violin Sonata in G, Op.30, #3 (Beethoven), 4s. 2-12” PW HMV DB 1463/64, POM-1928. M-A MB 12, the Pair. P0188. SIMON BARERE: Reminiscences de Don Juan (Mozart-Liszt), 4s. 2 12” PW V 15485/86, Sd.3 = Mx.2EA 3075 I, changed to Mx.2B 5592-1 on 30 May, 1936, four months after recording, at Barère 's request, [2EA 3073-1/, 3074-1, 3075-1, 3076-1], POM 31 Jan., 1936, in Orig. Album M-577, w.Brochure. M-A MB 20, the Set. on ‘Z’-type shellac, POM-15 Oct., 1935 / 27 Nov., 1934. P0192. SIMON BARERE: Scherzo #3 in c-sharp, Op.39 (Chopin), 2s. P0193. SIMON BARERE: Étude for the left hand alone (Blumenfeld). P0195. SIMON BARERE: Étude in C (Glazounov). of Mx.2EA 563-1, 564-3, 565-4 & 566-3, POM 29 Nov., 7 & 10 Dec., 1934. MINT MB 25, the Set.
" Barère's most celebrated interpretation, one that has become legendary in pianistic circles, is his spine-tingling ISLAMEY of Balakirev. And to hear a double-note technique that will raise eyebrows, listen to Barer's Schumann ‘Toccata’." P0199. SIMON BARERE: Années de Pélerinage  Petrarch Sonta #104 (Liszt), 2s. P0200. SIMON BARERE: Années de Pélerinage – Petrarch Sonta #104 (Liszt), 2s. 12” PW Japanese V SD-3089 [2B 5579-1/80-1], POM 30 Jan., 1934. "Barère plays Schumann's C major Toccata with its 6,266 consecutive notes in 4.20 at the astonishing average pace of better than twenty-four notes per second, which is slightly faster than the standard speed of movie frames that flash on the screen to create a non-flickering illusion of continuous motion." “Barère ‘s British début was such a success that HMV immediately asked him to record for them. These records spread his name across the Atlantic and led to his Carnegie Hall début in 1936, and it was through his Carnegie Hall concerts during the 1940s that his name was kept before audiences. The New York Times referred to a recital in 1949 as ‘…one of the most amazing feats of pianism heard in this city in many a year’. on ‘Z’-type shellac, POM-6 May, 1934. M-A MB 12, the Pair. Étude in c-sharp, Op.10, #4; Étude in G-flat, Op.10, #5 (all Chopin). preferred vinyl pressing appears unplayed! MB 45, the Set. P0207. VLADIMIR HOROWITZ: CARMEN – Variations (Bizet-Horowitz) (1947 Version) / Mazurka in f, Op.7, #3 (Chopin). 12” RCA 12-0427, POM-22 Dec., 1947. P0210. GALINA WERSCHENSKAYA: 5 Piano Pieces, Op.3 (Nielsen), 2s. 12” Danish Tono A 123 [2645/46], POM-1946. ACRUS TRAGICUS – Prelude (Bach). 2-12” green LVDP S10447/48 [2P6614/17], POM-1937. M-A MB 20, the Pair. P0212. HERMAN D. KOPPEL: Chaconne, Op.32 (Nielsen), 2s. 12” red Scandinavian HMV DB 5254, POM-1940. Norwegian Folk Song in g minor (Grieg), 4s. 2-12” HMV DB 11904/05, POM-1949-50. M-A, pristine copy. MB 10, the Pair. P0214. ERIK THEN-BERGH: Chaconne in d (Bach-Busoni), 4s. 2-12” plum HMV EH 1207/08, POM-24 Aug., 1938. M-A, lovely copy has, Sd. 1 only, sev.scrs, ltly audible. MB 10, the Pair. Bagatelle #1 in E-flat, Op.33 (Beethoven). P0216. ERIK THEN-BERGH: Sonata #28 in A, Op.101 (Beethoven), 6s. 3-12” plum HMV EH 1257/59, POM-1 Feb., 1939. M-A, as New. MB 15, the Set. P0217. ERIK THEN-BERGH: Silhouetten, Op.53, Nos. 2 & 6 (Reger), 2s. P0218. VICTOR SCHIOLER: Polonaise in A-flat, Op.53 (Chopin), 2s. P0219. VICTOR SCHIOLER: Fantaisie-Impromptu #4 in c-sharp, Op.66 (Chopin) / Libesträume #3 in A-flat (Liszt). 12” Danish Tono A 130 [3060/63] , POM-Aug., 1947. P0222. VICTOR SCHIOLER: Prélude #7 in A, Op.28, #7; Prélude #3 in G, Op.28, #3; Prélude #22 in g, Op.28, #22 / Waltz #7 in c-sharp, Op.64, #2 (all Chopin). Mazurka #47 in a, Op.68, #2. (all Chopin). P0225. VICTOR SCHIOLER: Ballade #1 in g, Op.23 (Chopin), 2s. 12” Danish Tono A 103 [1550/51], POM-16 March, 1942 / 18 Dec., 1948. P0229. VICTOR SCHIOLER: Scherzo in c-sharp, Op. 39 (Chopin), 2s. Sd.4 = A MIDSUMMER NIGHT’S DREAM – Scherzo (Mendelssohn-Schiøler). 2-12” Danish Tono A 105/106 [1602/05] , POM-11 May, 1942. M-A MB 20, the Pair. Sd.4 = Pastorale and Capriccio (Scarlatti-Tausing). POM-1951. M-A, choice copy. MB 15, the Pair. POM-21 May, 1942. M-A, exemplary copy. MB 20, the Pair. Concerto #1 in b-flat (Tchaikowsky), 8s. 4-12” Danish Tono X 25051/54 [2730/37], POM-Dec., 1945. M-A, exemplary copy has very occasional superficial mk, inaud. POM-28 Nov., 1927 (pressed by Columbia in their Viva-Tonal period). M-A, superlative copy has, Sd.3 only, minuscule pap. scr., inaud. MB 15, the Set. FRANZ SCHUCHT: Pathétique Sonata #8 in c – Adagio (Beethoven). Cello Sonata (Part VII only) (both Played by the Composer). 12” PW Eng. Col. L2317 [WAX 4677-3/4196-2], POM- 18 Feb., 1929. P0241. HELMUT ROLOFF: Thema und Variationen über den Namen ‘ABEGG’ (Schumann), 2s. 10” Variable Micrograde DGG 36115, sole issue, 5 Dec., 1953. Nocturne in F-sharp, Op.15, #2 (Chopin). 10” gold Brunswick 15021. BURLESKE (Strauss), 4s. 2-12” Scroll V 11744/45, POM-1932, on ‘Z’ shellac. A to M-A, lovely copy has, Sd.4 only, various minuscule dust scrs. MB 15, the Pair. ELLY NEY (Speaking): Beethoven’s Heiligenstädter Testament. “Most of us fall into the middle of two extremes, and our various shades of moral grey can fluctuate daily, depending on all kinds of varying circumstances. Some artists who left Nazi Germany were courageous, some selfish; some who stayed there were courageous, some selfish. Some began well but descended to evil and collaboration; others began badly but later discovered heroism and humanity. I mean to prove nothing [but] pose the question: is there a moral dimension to music? Can a person who does evil things be a great artist?" Gnomenreigen Étude de Concert in A-flat (de Schlozer). P0246. EILEEN JOYCE: Ballade in g, Op.24 (Grieg), 4s. 2-12” Eng.Col.DX 1116/17, POM-3 May, 1943. M-A, as New. MB 12, the Pair. Trio #1 in G (Haydn). 2-12” Eng. Col. DX 1054/55, POM-7 Nov., 1941. M-A, as New, albeit Sd.2 only has faintest rub, inaud. MB 12, the Pair. Tarantella in a (Harry Farjeon). 12” Parl.E 11333, POM-14 April, 1937. DER FLIEGENDE HÖLLANDER – Spinning song (Wagner). Années de pèlerinage Première Année – Suisse - Au bord d’une source (Liszt). Prelude in E-flat; Prelude in d (both Rachmaninoff). P0256. EILEEN JOYCE: Impromptu in A-flat, Op.90, #4 (Schubert), 2s. P0258. EILEEN JOYCE: Introduction & rondo capriccioso (Mendelssohn), 2s. P0259. EILEEN JOYCE: Tango, Op.165, #2 (Albéniz) / Première valse oubliée (Liszt). P0260. EILEEN JOYCE: Waldesrauschen (Liszt) / Rondo favori in E-flat (Hummel). POM-6 March, 1940 / 26 May, 1939. M-A, as New. MB 12, the Pair. POM-11 Oct., 1946, in Orig.Album ERA 35. M-A, as New. MB 15, the Set. Prelude #9 in D; Prelude #10- in c–sharp (both Scriabin). 3-12” PW Col.71424/26-D, POM-24 October / 11 Jan., 1941, in Orig.Album MM 527. M-A MB 15, the Set. Concerto in E-flat (John Ireland), 6s. 3-12” Eng.Col.DX 8178/80, POM-14 Jan., 1942. M-A, as New. MB 15, the Set. POM-1928, in Orig. Album 120. M-A, exemplary copy. MB 25, the Set. Prelude and Fugue #4 in c-sharp (Bach), 2s. 12” Eng. Col. DX 1650, POM-1947. P0268. HARRIET COHEN, w.Sargent Cond. : Morning Song (Bax), 2s. (both Bax, dedicated to Cohen). 12” Eng. Col. DX 1109, POM-20 Oct., 1942. P0270. HARRIET COHEN: Hymn-Tune Prelude on Song 13 [Orlando Gibbons] (Vaughan Williams, written for Cohen) / Mister Sanders His Delight (Gibbons–Glyn). Cantata #155 - Wirf mein Herze (Bach-Cohen). 12 early PW Col. 68388-D.
P0272. HARRIET COHEN: Intermezzo #3 in c-sharp, Op.117 (Brahms), 2s. Carl Taylor, Watson Forbes, John Moore): Piano Quintet in a (Elgar), 8s. 4-12” PW HMV DB 2094/97 [2B 5354-61], POM-1 October 1933, in Orig. Stratton Quartet, immediately before the composer became seriously ill.
Test pressings were rushed to Elgar's bedside; the pleasure he gained from them inspiring Fred Gaisberg to record the Quintet as a Christmas present to the ailing composer]. M-A, exemplary copy. MB 35, the Set. LOVE STORY – Cornish Rhapsody (Cond. by the Composer), 2s. Preludes and Fugues, Nos. 10 - 17 (Bach), 8s. 4-12” Viva-Tonal Col. 67823/26-D, POM-1929, in Orig. Album 147. M-A, exemplary copy. MB 25, the Set. P0277. EVLYN HOWARD-JONES: Three Preludes (Delius), 2s. 10” Viva-Tonal Col. 2343-D, POM-4 April, 1929. (Complete, as recorded) (Bartók), 4s. 2-10” plum HMV B.9882/83, POM-1949. P0280. UNA BOURNE: Automne / Quatrième valse (both Chaminade). 12” plum PW HMV C.427 [HO 692/695ac], POM-16 March, 1915. P0281. UNA BOURNE & MARJORIE HAYWARD: Sonata in c (Grieg), 6s. 3-12” plum PW HMV C.1388/90. M-A MB 20, the Trio. POM-7 July, 1937. M-A, reviewer’s copy; Sd.1 only has faintest lams, inaud. P0284. COLIN HORSLEY: Six Preludes for Piano (Berkeley), 2s. “Colin Horsley’s main contribution to contemporary music came through his association with Lennox Berkeley. When he went to HMV to record works by Sergei Prokofiev and Karel Szymanowski on 78s, the producer was delighted and asked Horsley if he happened to have anything else. So he pulled Berkeley's Six Preludes out of his case, they recorded them and apparently that 78 sold best of all. In the concert hall Horsley clocked up some 90 performances of the Preludes. String Quartet in F Major, 7s. (Ravel; supervised by the Composer). only form of issue, 1927. M-A MB 25, the Set. Sds. 2-4 = Concerto #5 in f minor for Piano & Strings. only form of issue, 18 Dec., 1929. M-A MB 15, the Pair. NGS- 87; 78-81, only form of issue, 1927. M-A MB 25, the Set. Moy Mell (‘The pleasant plain’) (Bax, supervised by the Composer), 2s. P0289. ETHEL BARTLETT & RAE ROBERTSON: Scaramouche (Milhaud), 2s. POM- 29 January 1941, in Orig.Album X-213. M-A, as New. MB 15, the Set. POM-20 Dec.,1933. M-A, as New. MB 12, the Pair. distinguish themselves as a duo, their ensemble was far the most acclaimed. P0292. MARION ROBERTS: Prélude, Chorale et Fugue (Franck), 4s. (pressed by Columbia in their Viva-Tonal period). Rare private pressing limited to 200 copies). M-A, superb copy; two labels have wee adhesive stickers. [Roberts was a prominent Chicago recitalist who was murdered by her lover in Paris, shortly after this private release.] MB 20, the Pair. Robert Nathaniel Dett, Daniel Gregory Mason and Edward MacDowell. 4-12” PW V 17910/13, POM-1940, in Orig. Album M-764, w.Brochure. M-A, as New. MB 35, the Set. Deep River / Song of the Volga Boatmen (both arr. Kelberine). (Harl McDonald), 6s. 3-12” PW V 15410/12, POM-1937, in Orig. Album M-557. M-A, exemplary copy. MB 35, the Set. (Saint-Saëns), 6s. 3-12” V 18047/49, POM-1939, in Orig. Album M-785. M-A, exemplary copy. MB 25, the Set. Revolutionary Étude in c, Op.10, #12; Valse du petit chien (Minute Waltz) in D-flat major, Op. 64, #1; Fantaisie-Impromptu #4 in c-sharp, Op.66 (all Chopin. 10 Continental 1161 [W 3336/37], in Orig.Continental sleeve. P0298. STEPHEN KOVACS: A MIDSUMMER NIGHT’S DREAM – Scherzo (Mendelssohn) / DIE FLEDERMAUS – Waltz (Johann Strauss). P0299. STEPHEN KOVACS: Firestone Presents … Mendelssohn, Johann Strauss, Liszt, Mozart, Dvorák, Verdi, Schubert, Rimsky-Korsakov, Chopin & Rossini, 8s. 4-12” Philharmonic FR 106/09 [B 3081/88], in Orig.Firestone Album 7388. M-A, pristine copy appears entirely unplayed. MB 55, the Set. Sd. 6 = AARON COPLAND (Solo): Nocturne (both Played by Composer). [XCO 17117/19; 17325], POM-2 April, 1935, in Orig.Album X-68, w.Brochure. M-A, as New. MB 20, the Set. P0303. AARON COPLAND: Four Piano Blues(Played by the Composer), 2s. 12” Eng. Decca K2372 [AR 13657/58], POM-2 May, 1949.